Society is changing so rapidly today that advice about Welder career progression needs to not only look at the present situation, but also give some ideas about where things can go in the medium term future. As I do not profess to have any prophetic gifts in this regard, any prediction about possible future directions of a Welder’s career needs to be seen as just that. A prediction. At best, we can only make predictions about the future of welding as a career, in the light of direction rather than destination. The road we are on is about finding the right direction rather than predicting what the destination will look like. We will look at where we are, and look at how the world around us is changing, and then decide how these changes will impact your career as a Welder, and what opportunities may present themselves. To be able to do this however, we need to understand how the world works on many levels other than just a technical level associated with welding. Subject areas such as economics, information technology and robotics, politics and psychology all help us to try and sort out where the world is heading. This is obviously a process that needs to be followed on a real-time basis as new events unfold. The information given in this page should therefore be seen as the present state of the industry, with some glimpses of things unfolding. The main “real-time tracking” needs to be much more dynamic than is possible on a web page such as this. For this reason, there is a regular e-zine published by WelderDestiny. Please subscribe by clicking on the “subscribe to the e-zine” button prominently displayed on this page. When subscribing we will also send you a spreadsheet that will help you to predict the outcome of performing dissimilar metal welds. Please note that the e-zine will not be just about welding technology. In fact, most of the time we will be focusing on other areas that will impact our society and consequently what the knock-on effect will be for you as a Welder or other professional in the welding industry. Below we will look at different potential “spin-off” careers for you as a Welder, but first we will spend a little time exploring where current technology appears to be taking us. In all areas of society, we are experiencing automation. The automation is not necessarily just in terms of a physical machine doing physical work, although that is the most easily observed automation. Rather, I believe that the main automation coming our way is actually in knowledge based work. As a welding engineer I evaluate a lot of welding documentation and make a lot of decisions based on my training and experience. Some of this is set within a context that is new or novel, but a great deal of the work is actually relatively routine. I could sit down and write some computer applications that anybody could use to make the same quality of decisions about these routine aspects of my work. Invariably these aspects of my work will be replaced by automation. Not only will I need to be ready for these changes, but I may even be part of the whole process. That is where the opportunity in change lies! Not resisting the change because you are trying to preserve something that is past its expiry date, but being part of the change process. Within this context, there are many “professional” knowledge based jobs that can largely be replaced by a computer. Think about roles like an investment advisor or insurance broker. Most of the time these jobs entail the application of a set of principles. If these principles can be condensed into computer code, then eventually they will be. More and more, these types of jobs will be replaced by on-line systems. This is already happening. Only the legislation is lagging, but this is mostly due to vested interests trying to resist the change. These dynamics we will also explore in our e-zine, so make sure you subscribe! Another obvious area for automation is where the knowledge base is so diverse that it is impossible for any single human to keep track. Think of medicine for example. There is so much new information becoming available in so many different areas of medicine that it is impossible for a single human to keep track of it all. Hence the explosion of all the different specializations within medicine. The problem is that with all the specialization there tends to be a departmentalization of information so that problems identified within the area of one specialist is not interpreted within the greater context of the individual. This problem could be solved by getting each person their own research team that researches their health issues and conditions and interprets this within the context of the whole person. This would unfortunately not be an economically viable approach; hence a different approach is needed. The obvious answer is that the general practitioner should be supplemented by some kind of “artificial intelligence” or cognitive computer system that is able to deal with much more information being fed into it from many more sources. The direction that this reasoning takes us is that medical practitioners will be part of a system that knows how to access, support and interface with the artificial intelligence that has the processing power to know the medical history of individuals in detail, therefore being able to make accurate diagnoses and recommend treatments based on the latest research results coming from many different fields of medical science. Robotics in factory based repetitive welding applications: In this category we have robotic welding in automobile and similar assembly lines. In short, the future for the human in this type of environment is in development, maintenance and supervision functions. Machine systems in repetitive field environments: In this category we have machine welding systems with significant human input such as pipeline automated welding or automated systems for performing weld overlays and the like. In these types of applications the future for the Welder is in having enough welding knowledge to be able to make independent decisions in the field, assisted by automated (think Artificial Intelligence) knowledge based systems. Power system and associated peripherals enhancements and refinements: In this category we see the development of controlled wave form power sources and power sources with special magnetic properties that allow much higher weld penetrations, higher deposition rates or better control by Welders in manual or semi-automatic welding processes. In this scenario the future of the Welder lies in being able to integrate new and ever evolving skills with higher levels of understanding welding technology basics. The use of robotics in repetitive welding scenarios has come a long way, and will just continue as far as is practical from a cost benefit point of view. The main opportunity for Welders in this trend is to be part of the development, maintenance and "baby sitting" (supervision) roles. This means that you need to have skills in programming, mechatronics or training in how to adjust and set the equipment properly. If you are keen on getting into the robotics game, then you need to concentrate your efforts on gaining programming and mechatronic qualifications and skills. This can be a very appealing prospect for the tech heads amongst us. To be involved in the mechanized welding side of things you need to gain training in the different mechanized set-ups, and also experience in using the equipment, because there are normally quite specific hand-eye coordination skills involved with operating this type of equipment. 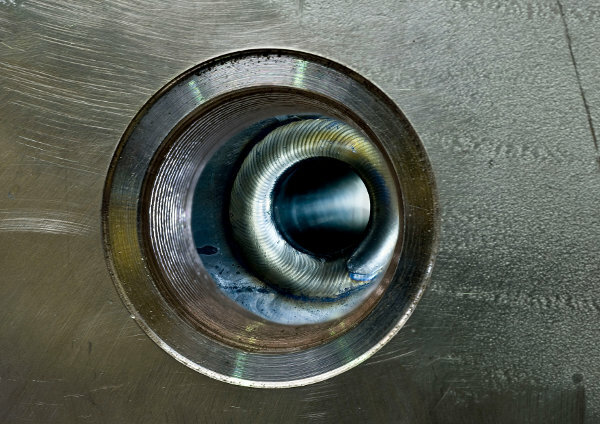 Robotics and mechanization is fine for controlled situations, but for now the technology for assessing new, unique or non-standard welding situations relies on the flexibility that human Welders provide. This is typical of field construction and maintenance activities. Once robotics get to the point of being true artificial intelligence, (AI) then this situation may change, but at that point we could debate if there is any role for humans in any job. This line of thinking we will not pursue here, but if you subscribe to the WelderDestiny e-zine we will certainly spend some time looking at these types of scenarios. For welding as a more pure skill, I believe that the last of the three trends mentioned above holds the greatest potential. The Welder that is aware of the capabilities of the equipment, and how to use them effectively in different situations, will be able to achieve greater productivity and control. I believe that this is the future of the Welder as a skilled artisan. Not only will the Welder need to have the necessary training and experience using the new and advanced power sources (and associated peripherals and sensors) but the Welder will need to gain more knowledge of how the new capabilities affect the weld from a metallurgical and materials properties point of view. In the future, a lot of the knowledge work presently done by welding engineers will move onto the shoulders of the Welder and associated field crew such as the welding inspector and supervisor. The days of the slow evolution of society has largely come to an end. In the industrialized world we have entered the exponential technology growth phase. This means that the rate of change due to technological advancement will only keep increasing in the years and decades ahead. We have entered the era of the constant revolution. Those that don't want to get on that bus will in all probability move to a more secluded existence where a subsistence lifestyle will be practiced. Such an existence will however not be the choice for most people, because quite frankly most people would prefer the excitement and benefits associated with the technological revolution. In a changing work environment it is important for everybody to have career options and understand how skills being gained in a current career can lead to the next career. The days of the "career for life" are largely over. Most people will have a number of different careers in their working life, therefore the perspective of everyone in the job market needs to be one of flexibility in how we develop ourselves. Any new skill needs to be seen in the context of what it could lead to in terms of opening up new career prospects. Below we will look at the typical roles that the Welder can fulfil in related career paths as they presently stand. We will also try to give some thoughts on how these jobs could evolve in the next decade or two. This should allow you to decide what training and experience you may want to gain for the future. One of the most common Welder career progression paths for Welders that are attracted to the higher knowledge side of welding, is to become a welding inspector. Depending on where in the world you are situated, the process of becoming a welding inspector will be a little different, but the globalization of engineering has introduced a couple of internationally recognized qualifications and certifications that makes this simpler than in the past. Click here to get an idea of what the job of a welding inspector entails, and the process of becoming a welding inspector. Being a welding technician means a lot of different things to different people, and your role as welding technician will be different in different organizations. Having said that, generally this means taking a role that is hands-on but in more of a technical role than actual welding production. In the medium term, where automation will increase, there will be an increasing demand for people taking this type of role. Click here to get an idea of what the job of a welding technician may entail, and some suggestions in getting yourself in line for such a job. 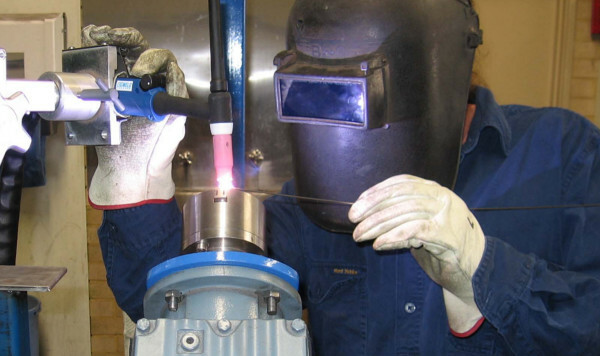 One of the most obvious Welder career progression paths is that to a supervisory role. If you are comfortable in a first line supervision role, then a job as a welding supervisor may be up your alley. Not everyone is comfortable in this type of role, so be careful of taking it on just because the opportunity becomes available. For the person with the right personality this is however a very rewarding job and well worth pursuing. Good, experienced welding supervisors are often well compensated because they are critical to the success of most welding based projects. Click here to get an idea of the role of the welding supervisor and the qualifications you may need for a welding supervisor job. Welder fabricator is a rather general term, but we will define this to mean a Welder that sells a service rather than just his/her time. This could be delivering welding based manufacturing services from a small workshop, or it could be a Welder that operates his/her own rig to perform field installation and welding work. I believe that in the near future this is going to be the mainstream way in which most artisans / journeymen will do their work. In essence it means that you will be self employed. While it may appear that the only difference between an "ordinary welder" and a "fabricator" is that the fabricator has some equipment and facilities that the "ordinary Welder" does not, that is actually not the main difference. The main difference lies in the systems that the fabricator needs to have in place to be able to sell a self contained service rather than just selling their time. Click here to get an idea of the systems and know-how that you may need to be able to set yourself up as a fabricator. Welder career progression into the engineer or technologist role can be appealing if you prefer a more theoretical and less hands-on role. I have included both of these roles in a single section because they tend to just be different levels of the same thing. A welding technologist is seen as a somewhat more junior level of a welding engineer role, but in many jurisdictions these roles are very similar. The requirements in terms of the certification is however different, hence the different titles. As a summary, welding engineers tend to be involved in more knowledge based work, rather than "hands-on" skill based work. If this is your idea of a good time, then becoming a welding engineer or welding technologist may be the way for you to go. Click here to get more information on what a welding engineer / technologist does and the type of training typically involved. When it comes to being a consultant, there are very little restrictions, so Welder career progression into this lucrative area can be appealing. It comes down to whether you have some knowledge and experience that somebody is prepared to pay for. In general, if you can solve somebody's problems and thereby make their operations more profitable, then you have the potential to be a consultant. Click here to see what companies are typically prepared to hire a consultant for, so that you can see if you would like to develop yourself to get into that space. Welder career progression by going on-line is looking very appealing for many Welders, especially those approaching retirement age. And why not? More and more people are making good money from running on-line businesses. In particular, we are thinking of businesses that operate almost exclusively within the on-line world. We are not looking at only using a website as a front for your "bricks and mortar" business. The potential scope for such businesses are so wide that it would not be possible to give any detailed list or description of how such a business must work. But if you click here, we will try to scratch the surface in terms of getting our heads around where the opportunities lie, and what you could do to get your slice of this pie.